Sorry I am only getting around to this requested post now. Bear in mind as usual, that I am relatively new to the world of subbing and I am just trying to find my way. I don’t know what guarantees the most subbing, I think it is mostly luck of the draw and being in the right place at the right time. I have six days in total lined up so far for the next two weeks, so that’s a good start in my book! My CV is only a page long. It might be a little short, but I’ll see how it goes for a few weeks then I may change it. It includes all the usual headings, Experience, Education, Areas of Special Interest, Hobbies, Skills and Contact Details. I also have business cards printed out. I don’t know if they’ll make a difference at all but they looked so bright and colourful I couldn’t resist downloading them! I have a plastic folder for each school. I bought them in Lidl -three euro for twenty folders. Most schools will not require all of these, but a couple I approached said I will not be put on the substitute list until I provide them with all of the above. I am just going to include them from now on just in case. Some schools are fussier than others unfortunately. I have emailed my CV to every school within a two hour radius. It took a long time to send them all! I will also approach schools in person, as it is nice to put a face to a name. A principal told me it means a lot to him to see a sub before he hires them so I will put his advice into practice. There is also the database Text a Sub or Sub Search which you can register with, I think you have to update it weekly to keep getting alerts. I do think meeting principals is the best way to go. I am unsure of whether you should make an appointment or not though. If anyone could shed light on this in the comment section, it would be appreciated! Be professional at all times, if you are approaching schools then maybe dress appropriately and professionally. 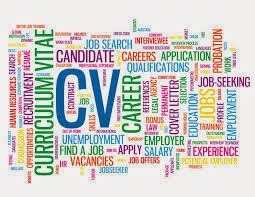 If you are emailing your CV then use the correct conventions. Be polite and professional at all times. I got all my subbing last term from word of mouth. I only approached two schools and ended up working in six or seven due to word of mouth. If you make a good impression then word will spread and you will come highly recommended! Most importantly of all, enjoy the days teaching you get. I am so excited at the prospect of teaching and being back in the classroom again.